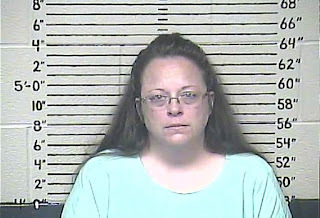 Kim Davis: the county clerk from Kentucky who captured headlines news and continues to hold it as she protests the legalization of gay marriages through her illegal actions. Religious conservatives applaud her actions. Liberals scorn her actions. Gay people just want their bleeping marriage certificates so that they can get married. Actually, everyone in Rowan County wants their marriage certificates, because Kim Davis refused to give out any marriage certificates after the Supreme Court ruling. What I don't hear a lot of out there are the basic facts. Fact #1: The First Amendment of the Constitution prohibits the government, or anyone representing the government, from preventing the worship of any established religion and from establishing a state religion or creating laws that favor one religion over another. Fact #3: The Supreme Court ruled that gay people have the legal right to marry. Period, end of discussion. So when Mrs. Davis refused to marry gay people because of her religious beliefs, she was in defiance of both the Supreme Court ruling and the First Amendment. As a representative of the government, Mrs. Davis agreed to uphold the law and agreed not to foist her religious beliefs upon others. The judge in her case was exceedingly lenient to her, bending over backwards to find a way to let Mrs. Davis perform her job and not feel compromised on her religion, going so far as to allow Mrs. Davis to hand off all gay couple to deputy clerks. Mrs. Davis refused. In fact, Mrs. Davis forced the judge to put her in jail, after which the judge ordered the deputy clerks to hand out marriage certificates to everyone. 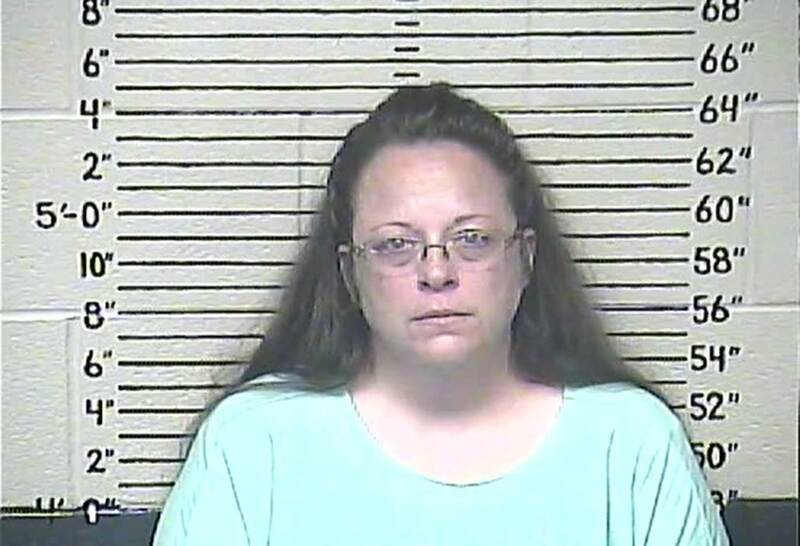 Since the deputy clerks have been doing their jobs, Mrs. Davis was released. If Mrs. Davis feels as if her beliefs are so strong that she cannot allow gay people to pass through the county clerk's office, then she has the right to quit. If she doesn't want to quit, then she needs to do her job. No one is saying she has to smile and be friendly, though I hope she would be. No one said that she personally must approve of all the marriages getting certificates. But she does need to hand them out according to the law. As for her personal religious beliefs, I find it extremely difficult to swallow her "holier-than-thou" attitude when she's on her fourth marriage, committed adultery, and became impregnated by a man not currently her husband.